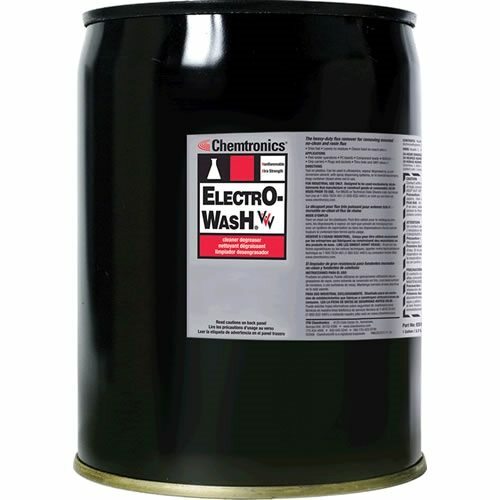 Electro-Wash Tri-V Precision Cleaner is a nonflammable cleaner that quickly removes flux, grease, oils, dirt, dust, and other contaminants from electronic components and assemblies. 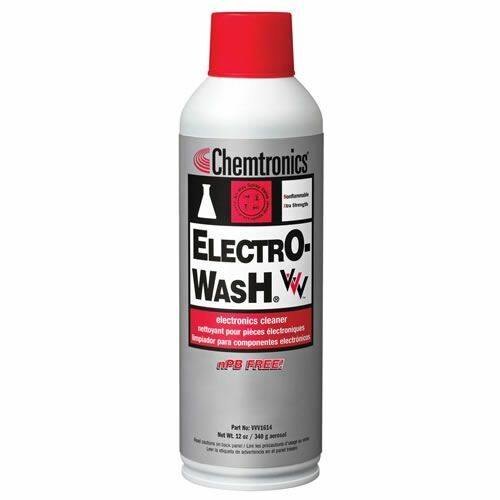 It removes all types of oil and grease while evaporating quickly and leaving no residues. Tri-V nPB replacement chemistry is an innovative chemistry that does not contain n-propyl bromide, TCE, hazardous air pollutants or ozone depleting compounds.